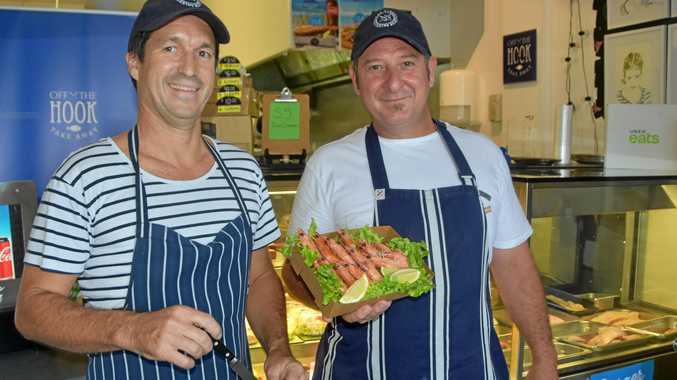 HAVING fish and chips is a long-standing tradition associated with relaxing by the seaside and one Sunshine Beach takeaway restaurant is hoping to shake up the local industry. Off the Hook chefs Kirk Dalgrin and Paul Roets hope to fill the void in a lack of quality fish and chip shops in Hastings St with the launch of their virtual restaurant The Barra Boys. "The idea is that we create a virtual restaurant which is delivered through Uber Eats,” Mr Dalgrin said. Since taking over Off the Hook three years ago, Mr Dalgrin said business has been busy. With more than 50 years years experience between the two chefs, their resumes include cooking for royalty, celebrities and in Michelin star restaurants. "We have been cooking pretty much our whole lives,” Mr Roets said. "We are both very passionate. The team are also passionate about supporting ethical and local produce. In some cases Off the Hook have fish from the sea and to their door in less than 24 hours. 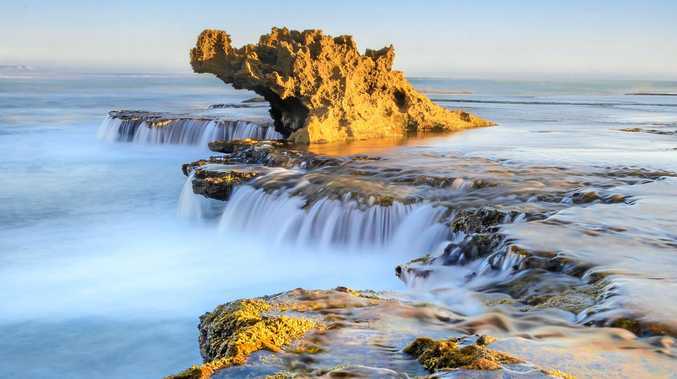 "It is seasonal as the fish comes through and it is always changing,” Mr Roets said. As well as quality seafood they have house made spring rolls using fresh vegetables, use salt water to make their own salt and pandanas leaves to smoke their fish. The duo hopes a better understanding of the industry will put down a sense of "urban myth” surrounding seafood. "It is a huge industry and everyone has their different view,” Mr Roets said. "In Australia we are lucky, we practice ethical fishing,” Mr Dalgrin added. Barra Boys plan to be up and running by Easter with plans for a fixed venue in Hastings St in the future. Off the Hook is at 40/42 Duke St, Sunshine Beach.